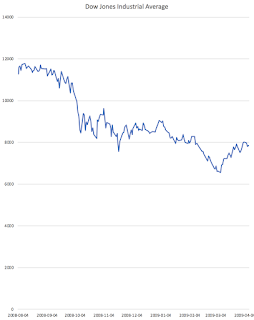 There is no doubt that the U.S stock market is on a tear with the appearance that there is no end in sight to the party, particularly with the latest GDP report showing 4.1 percent growth. All that said, there is one worrying trend as you will see in this posting. 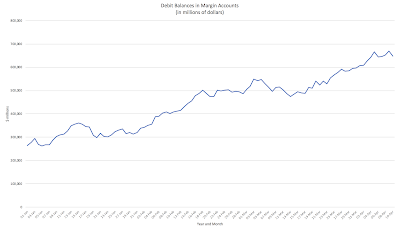 As you can see, margin debt has risen from a low of $263.202 billion in June 2010 to a high of $668.940 billion in May 2018, an increase of 154.2 percent. 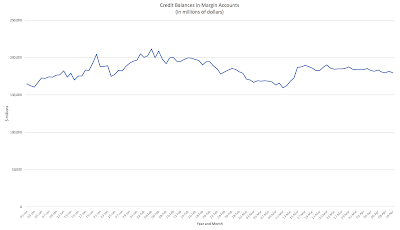 Free credit balances in margin accounts have actually changed very little over the past nine years, generally falling in the range of $160 million to $200 million. 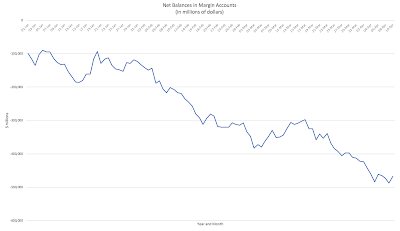 Net margin debt has risen from a low of $90.294 billion in June 2010 to a high of $487.05 billion in May 2018, an increase of 439.4 percent. 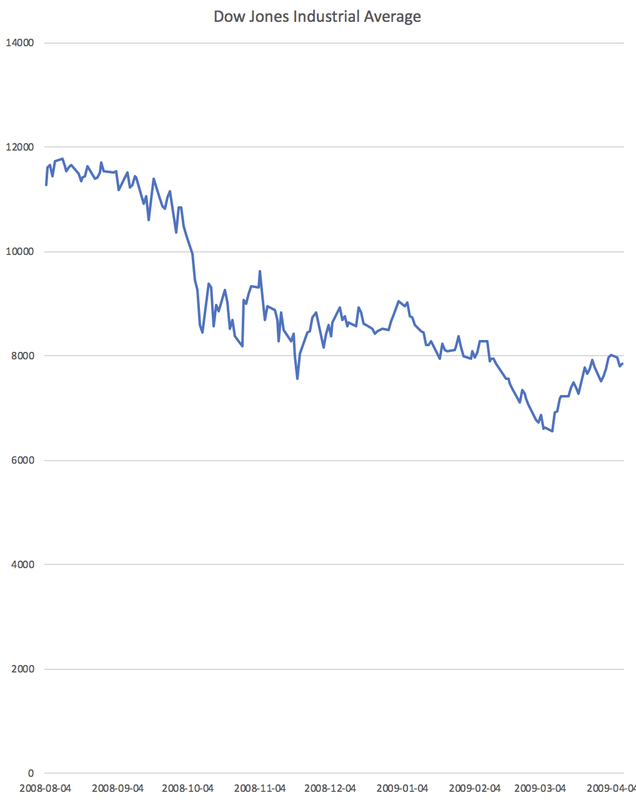 “Your firm can force the sale of securities in your accounts to meet a margin call. 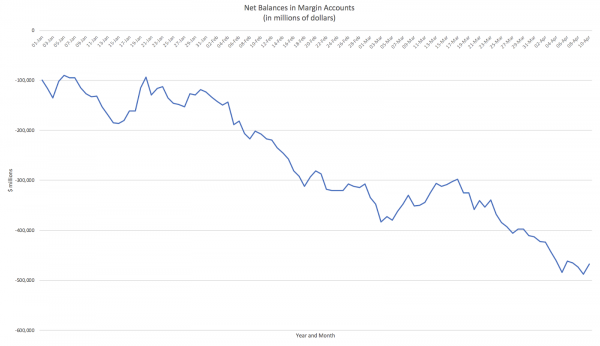 If the equity in your account falls below the maintenance margin requirements under the law—or the firm’s higher “house” requirements—your firm can sell the securities in your accounts to cover the margin deficiency. You will also be responsible for any short fall in the accounts after such a sale. Your firm can sell your securities without contacting you. Some investors mistakenly believe that a firm must contact them first for a margin call to be valid. This is not the case. Most firms will attempt to notify their customers of margin calls, but they are not required to do so. Even if you’re contacted and provided with a specific date to meet a margin call, your firm may decide to sell some or all of your securities before that date without any further notice to you. For example, your firm may take this action because the market value of your securities has continued to decline in value. Your firm can increase its “house” maintenance requirements at any time and is not required to provide you with advance notice. These changes in firm policy often take effect immediately and may cause a house call. 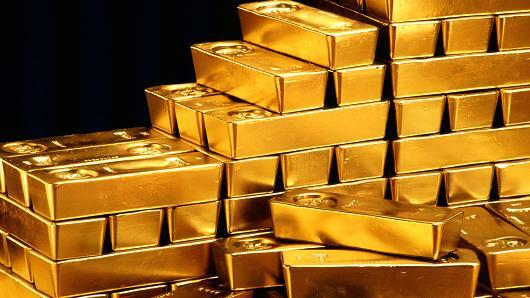 If you don’t satisfy this call, your firm may liquidate or sell securities in your accounts. 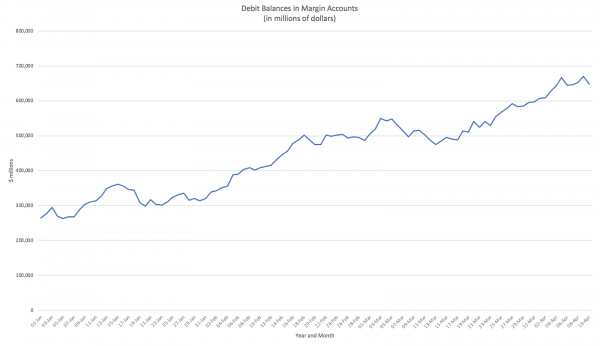 The unprecedented growth in margin debt is worrisome, particularly given that when the inevitable margin calls are made, the volatility in the stock market will be magnified as overly indebted Mom and Pop investors find that the system works against them. 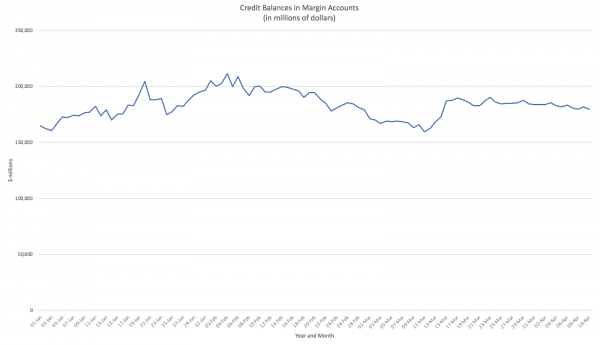 Margin debt could well prove to be the stock market’s Achilles heel.